Given the critical impact that Bill C-69 would have on the energy services industry as a whole, CWC and PSAC continue to advocate for amendments to the Bill and to bring public attention to the issue. 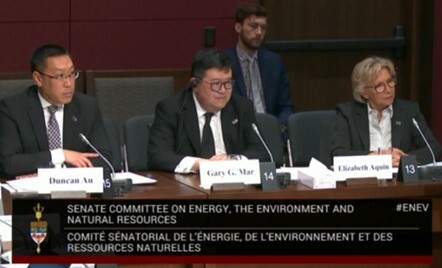 On March 21, 2019, PSAC President, Gary Mar, and Board Chair, Duncan Au, presented to the Standing Senate Committee on Energy, the Environment and Natural Resources on Bill C-69, a Bill that would enact the Impact Assessment Act and the Canadian Energy Regulator Act, as well as amend the Navigation Protection Act and a number of other acts. PSAC highlighted the current impact of the unprecedented plunge in capital investment since 2014 on our industry and all of Canada, and how passing the Bill without amendment would only serve to make the situation much worse. You can watch the full session here. 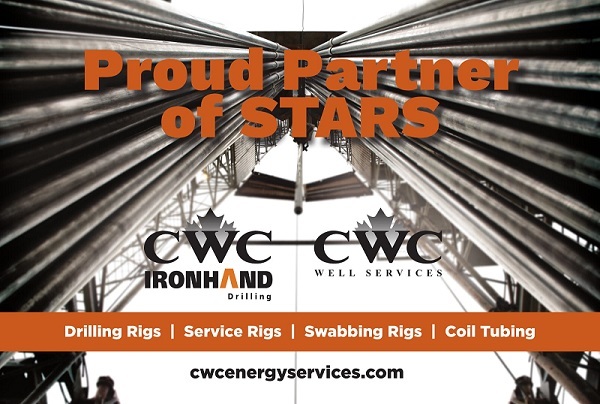 CWC Energy Services is a proud partner and sponsor of the 25th PSAC STARS & Spurs Gala to raise funds to support STARS Air Ambulance. We are especially proud of our President & CEO, Duncan Au, who was the Chairman of the 2018 Gala, for ensuring such an essential service like STARS is able to be there to support all of CWC's field employees on the rigs and in our communities. From all of us at CWC, thank you Duncan for all of your hard work and for making this Gala such a HUGE SUCCESS! Click here for some video highlights. CWC Energy Services Corp. ("CWC") provides drilling rigs, service rigs, swabbing rigs, and coil tubing to established oil and gas producers in the Western Canadian Sedimentary Basin ("WCSB"). These oilfield service activities are necessary to complete newly drilled wells and to maintain ongoing servicing of producing wells. CWC's services are provided through 2 divisions: Contract Drilling and Production Services. The Contract Drilling division operates under the trade name CWC Ironhand Drilling and is comprised of 9 telescopic double drilling rigs with depth ratings from 3,200 to 5,000 metres with an average age of 8 years. 8 of the 9 drilling rigs have top drives and 3 have pad rig walking systems. All of the drilling rigs are ideally suited for the most active depths for horizontal drilling in the WCSB, including the Montney, Cardium, Duvernay, and other deep basin horizons. With an operational base out of Nisku, Alberta, CWC Ironhand Drilling is ideally positioned for the deeper depths of the WCSB. The Production Services division operates under the trade name CWC Well Services and is comprised of 148 service rigs, 13 swabbing rigs, and 9 coil tubing units. With 148 service rigs, CWC is the largest well servicing company in Canada by operating hours, offering the most technologically advanced service rig fleet in the WCSB. These service rigs provide completions, maintenance, workovers and abandonments with depths ranging from 1,500 to 5,000 metres and are well positioned throughout the WCSB with operating locations in Grande Prairie, Slave Lake, Sylvan Lake, Drayton Valley, Lloydminster, Provost and Brooks, Alberta. CWC also operates 9 coil tubing units to a maximum capacity of 1¾ inch coil and depth rating from 1,500 to 3,200 metres. CWC's coil tubing units are ideally suited for the SAGD wells in the oilsands as well as other shallower depths of the WCSB. CWC also operates 13 swabbing rigs under the trade name CWC Swabtech with operating locations in Sylvan Lake and Brooks, Alberta. These swabbing rigs remove liquids from the wellbore and allow reservoir pressure to push the commodity up the tubing casing. CWC's Well Services division is well positioned for the changing demands of our oil and gas customers for horizontal drilling and deeper depths as well as servicing shallow and SAGD wells.